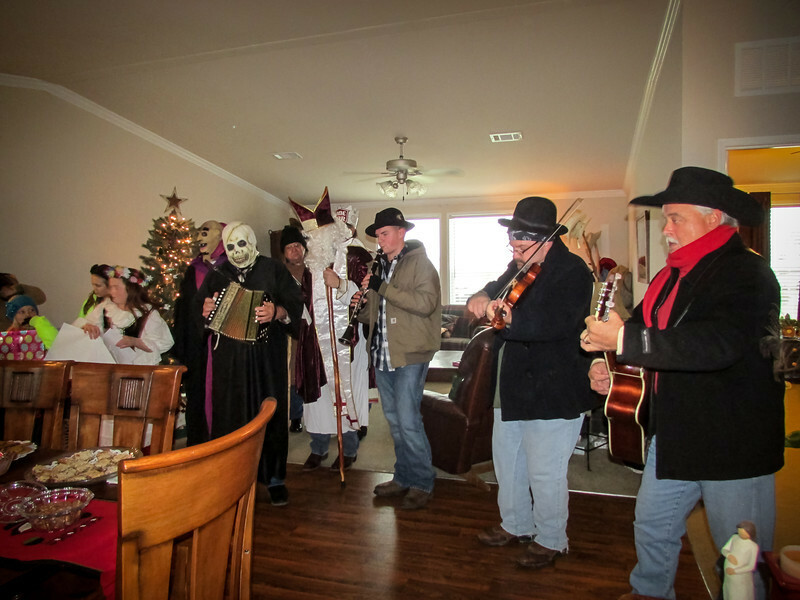 The kolędy procession included a devil, shepherd, bishop, king, the grim reaper, Christmas presents and an extinct Polish bison, the ever popular trouble-making turon and his handler. 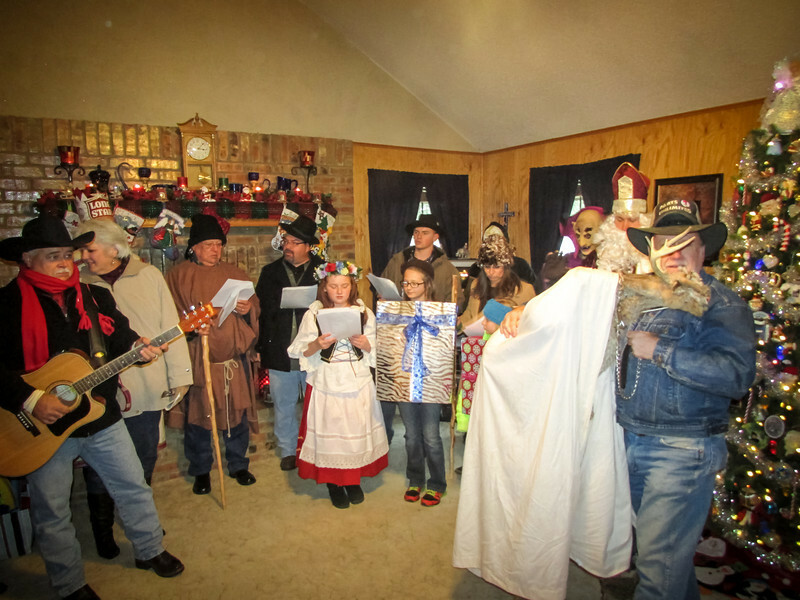 The group of carolers traveled to the countryside surrounding Bremond and sang for five different families at their homesteads and for the residents at the Bremond Nursing & Rehabilitation Center. The Todd & Annie Swick, Duck (Ron) & Linda Johnson, Tillie Kubiak, Ed and Cecile Filar and Wilganowski families all responded with lots of great food and liquid refreshments for the kolednicy. 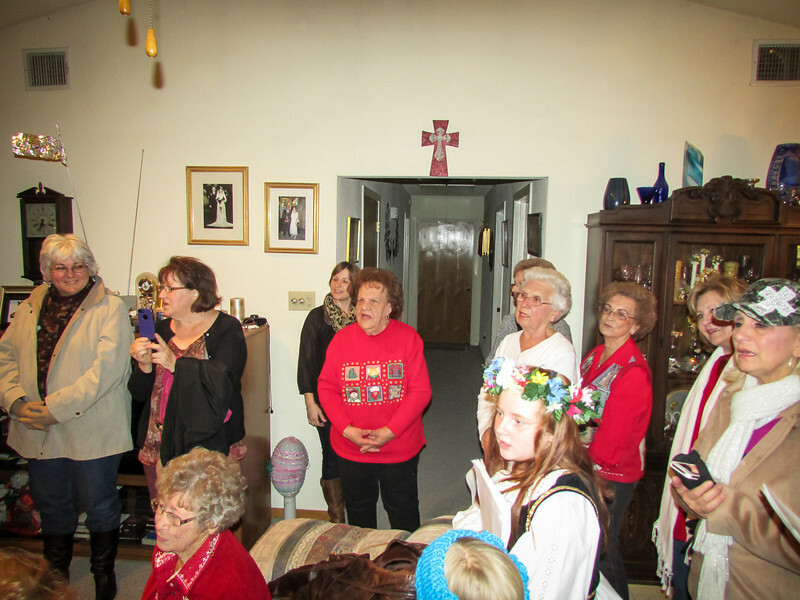 At each home, the group sang traditional Polish koledy including Gdy Sie Chrystus Rodzi, Pojdzmy Wszyscy, W Zlobie Lezy and Wsrod Nocnej Ciszy and a few English language Christmas carols. 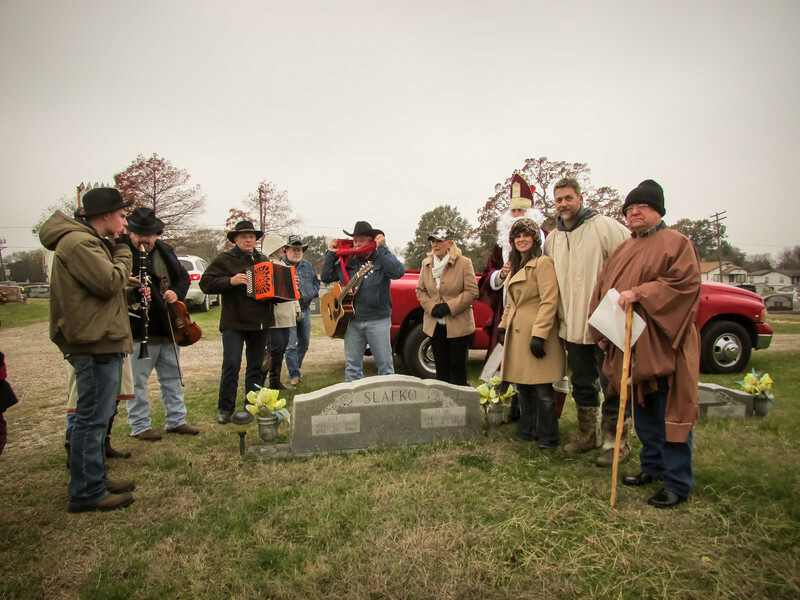 The group also paid tribute to their ancestors by singing a few songs at St. Mary’s Cemetery. 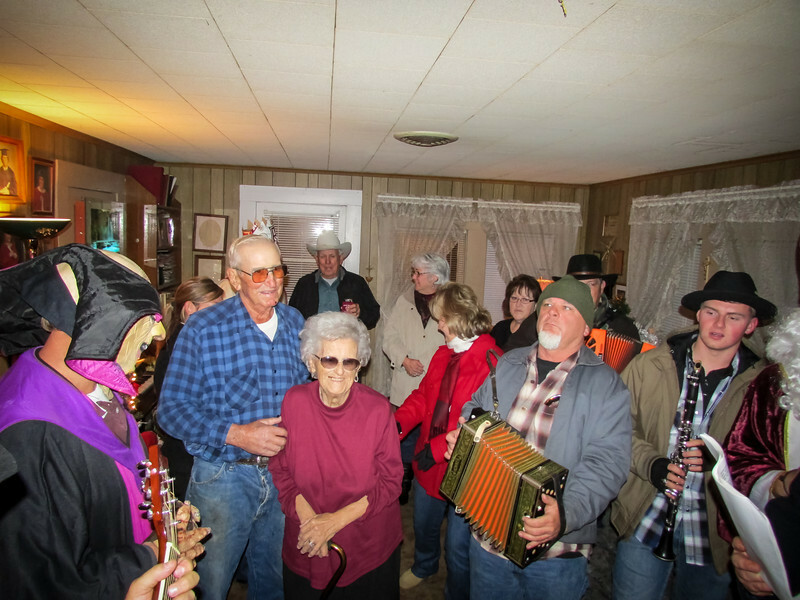 After a long day, everyone headed back to the Texas Slav and German Warehouse in downtown Bremond to finish the evening with good fellowship, food, drink and dancing as the musicians continued to play old Polish songs throughout the evening. 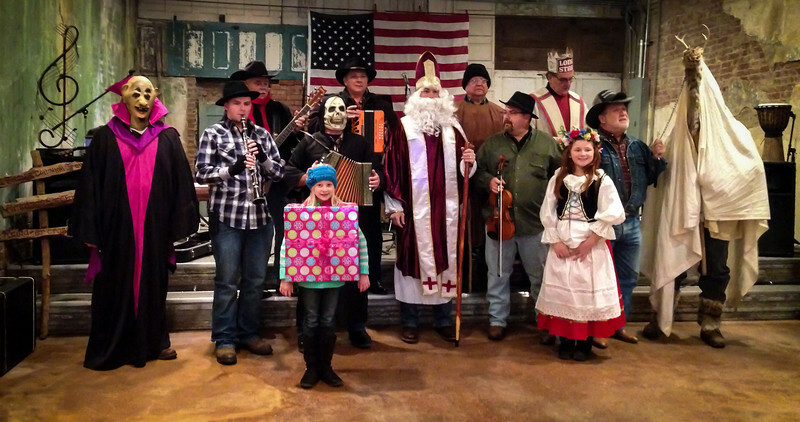 Bringing back the old tradition of Kolędy to Bremond resulted in a beautiful day of celebration of our Polish history and heritage and made a lasting family memory for all those that participated. 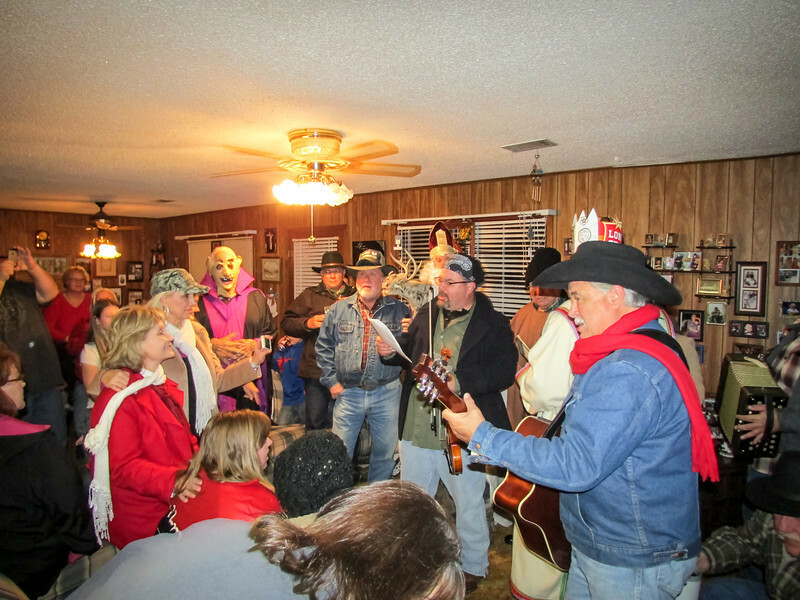 Below are a few photos of the fun and there is a slideshow of more photos on page 2. (Photos courtesy of Tessy Crawford and Caroline Marshall). 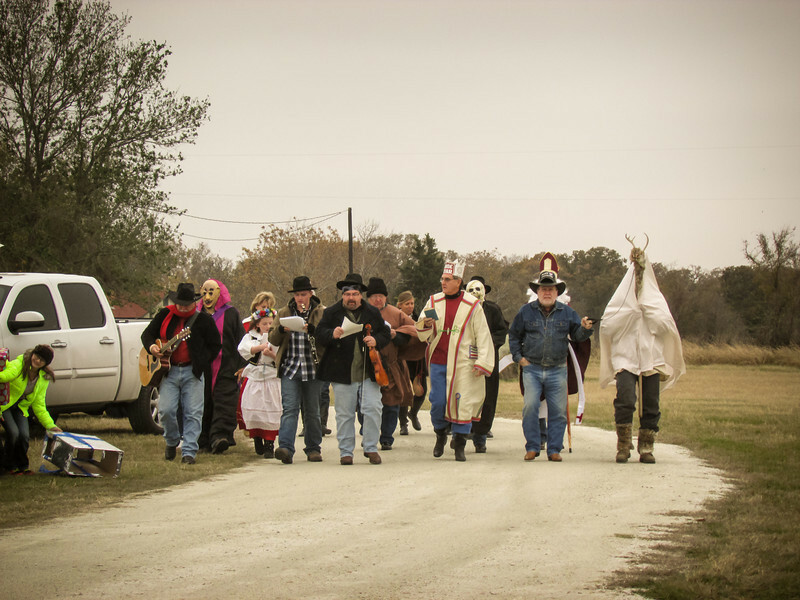 There are a few music videos in the Polish Texans Video section or you can see more videos on our YouTube Channel.